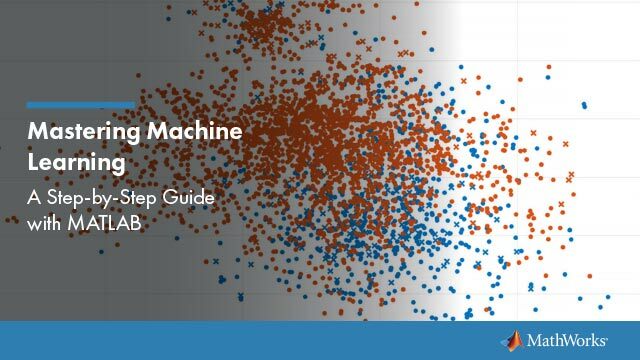 This example shows how to perform statistical analysis and machine learning on out-of-memory data with MATLAB® and Statistics and Machine Learning Toolbox™. Tall arrays and tables are designed for working with out-of-memory data. This type of data consists of a very large number of rows (observations) compared to a smaller number of columns (variables). Instead of writing specialized code that takes into account the huge size of the data, such as with MapReduce, tall arrays let you work with large data sets in a manner similar to in-memory MATLAB arrays. The fundamental difference is that tall arrays typically remain unevaluated until you request that the calculations be performed. When you execute calculations on tall arrays, the default execution environment uses either the local MATLAB session or a local parallel pool (if you have Parallel Computing Toolbox™). You can use the mapreducer function to change the execution environment. 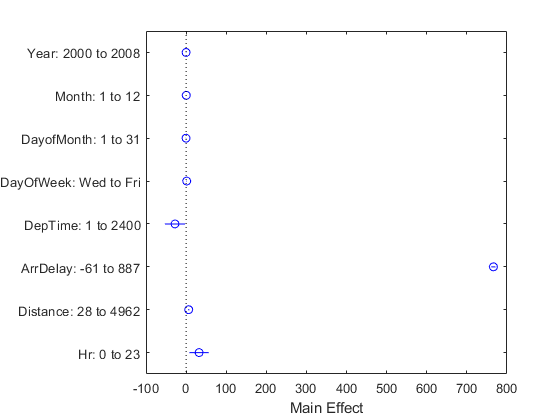 This example follows a similar structure in developing a predictive model for airline delays. The data includes a large file of airline flight information from 1987 through 2008. The example goal is to predict the departure delay based on a number of variables. Details on the fundamental aspects of tall arrays are included in the example Analyze Big Data in MATLAB Using Tall Arrays (MATLAB). This example extends the analysis to include machine learning with tall arrays. A datastore is a repository for collections of data that are too large to fit in memory. You can create a datastore from a number of different file formats as the first step to create a tall array from an external data source. Create a datastore for the sample file airlinesmall.csv. Select the variables of interest, treat 'NA' values as missing data, and generate a preview table of the data. Create a tall table backed by the datastore to facilitate working with the data. The underlying data type of a tall array depends on the type of datastore. In this case, the datastore is tabular text and returns a tall table. The display includes a preview of the data, with indication that the size is unknown. This example aims to explore the time of day and day of week in more detail. Convert the day of week to categorical data with labels and determine the hour of day from the numeric departure time variable. Include only years after 2000 and ignore rows with missing data. Identify data of interest by logical condition. A number of exploratory functions are available for tall arrays. For a list of supported statistics functions, see Tall Array Support, Usage Notes, and Limitations. The grpstats function calculates grouped statistics of tall arrays. 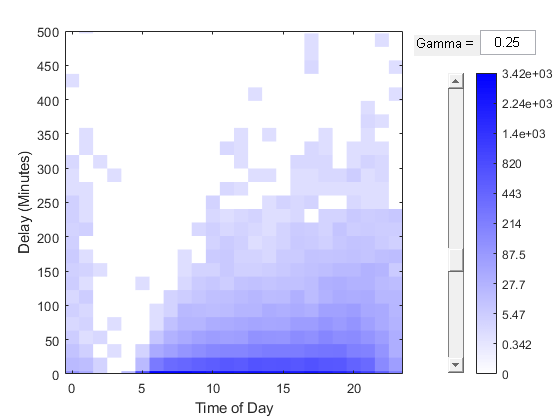 Explore the data by determining the centrality and spread of the data with summary statistics grouped by day of week. Also, explore the correlation between the departure delay and arrival delay.
? ?            ? ?               ? ?                    ? ?               ? ?                    ? These commands produce more tall arrays. The commands are not executed until you explicitly gather the results into the workspace. The gather command triggers execution and attempts to minimize the number of passes required through the data to perform the calculations. gather requires that the resulting variables fit into memory. The variables containing the results are now in-memory variables in the Workspace. Based on these calculations, variation occurs in the data and there is correlation between the delays that you can investigate further. Explore the effect of day of week and hour of day and gain additional statistical information such as the standard error of the mean and the 95% confidence interval for the mean. You can pass the entire tall table and specify which variables to perform calculations on. Due to the data partitioning of the tall array, the output might be unordered. Rearrange the data in memory for further exploration. Currently, you can visualize tall array data using histogram, histogram2, binScatterPlot, and ksdensity. The visualizations all trigger execution, similar to calling the gather function. Use binScatterPlot to examine the relationship between the Hr and DepDelay variables. As noted in the output display, the visualizations often take two passes through the data: one to perform the binning, and one to perform the binned calculation and produce the visualization. To develop a machine learning model, it is useful to reserve part of the data to train and develop the model and another part of the data to test the model. A number of ways exist for you to split the data into training and validation sets. Use datasample to obtain a random sampling of the data. Then use cvpartition to partition the data into test and training sets. To obtain nonstratified partitions, set a uniform grouping variable by multiplying the data samples by zero. For reproducibility, set the seed of the random number generator using tallrng. The results can vary depending on the number of workers and the execution environment for the tall arrays. For details, see Control Where Your Code Runs (MATLAB). Build a model to predict the departure delay based on several variables. The linear regression model function fitlm behaves similarly to the in-memory function. However, calculations with tall arrays result in a CompactLinearModel, which is more efficient for large data sets. Model fitting triggers execution because it is an iterative process. The display indicates fit information, as well as coefficients and associated coefficient statistics. The model variable contains information about the fitted model as properties, which you can access using dot notation. Alternatively, double click the variable in the Workspace to explore the properties interactively. 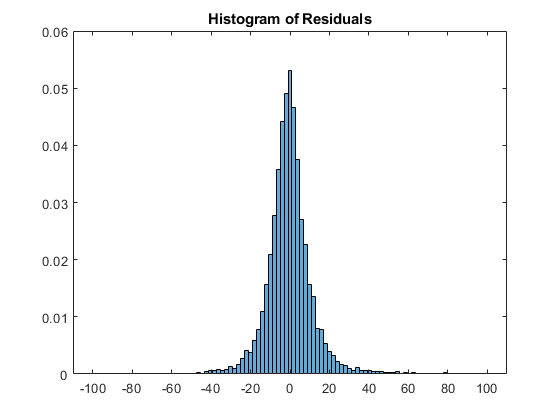 Predict new values based on the model, calculate the residuals, and visualize using a histogram. The predict function predicts new values for both tall and in-memory data. Looking at the output p-values in the display, some variables might be unnecessary in the model. You can reduce the complexity of the model by removing these variables. Examine the significance of the variables in the model more closely using anova. Based on the p-values, the variables Year, Month, and DayOfMonth are not significant to this model, so you can remove them without negatively affecting the model quality. To explore these model parameters further, use interactive visualizations such as plotSlice, plotInterations, and plotEffects. For example, use plotEffects to examine the estimated effect that each predictor variable has on the departure delay. Based on these calculations, ArrDelay is the main effect in the model (it is highly correlated to DepDelay). The other effects are observable, but have much less impact. In addition, Hr was determined from DepTime, so only one of these variables is necessary to the model. Reduce the number of variables to exclude all date components, and then fit a new model. Even with the model simplified, it can be useful to further adjust the relationships between the variables and include specific interactions. To experiment further, repeat this workflow with smaller tall arrays. For performance while tuning the model, you can consider working with a small extraction of in-memory data before scaling up to the entire tall array. In this example, you can use functionality like stepwise regression, which is suited for iterative, in-memory model development. After tuning the model, you can scale up to use tall arrays. Gather a subset of the data into the workspace and use stepwiselm to iteratively develop the model in memory. The model that results from the stepwise fit includes interaction terms. Now try to fit a model for the tall data by using fitlm with the formula returned by stepwiselm. You can repeat this process to continue to adjust the linear model. However, in this case, you should explore different types of regression that might be more appropriate for this data. For example, if you do not want to include the arrival delay, then this type of linear model is no longer appropriate. See Logistic Regression with Tall Arrays for more information.